I recently re-watched the film on the Masters of Cinema dual-format release. The previous occasion was 25 years ago at a film society. I thought there was a scene at the outset when a newborn male is flung out of a house at night into the deep winter snow. 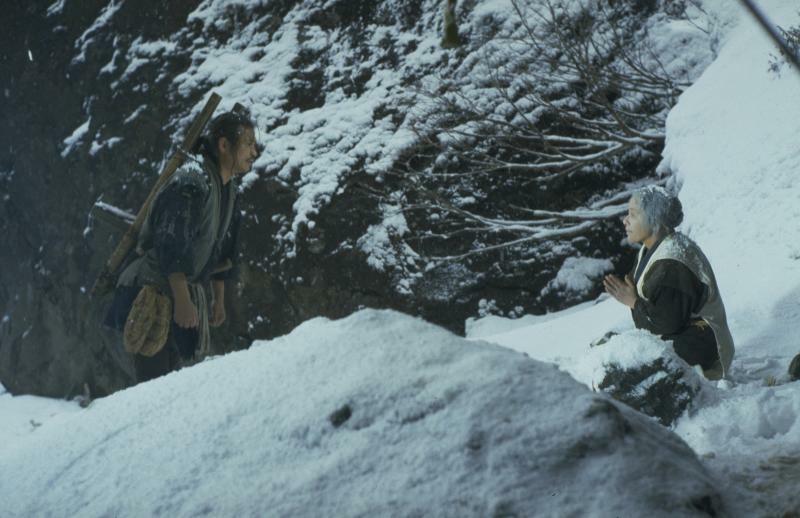 The DVD only shows later events as its corpse is discovered by Risuke during the thaw. A contemporary film review also referred to ‘tossing out newborn male children’ (NYTimes of 9 April 1984).